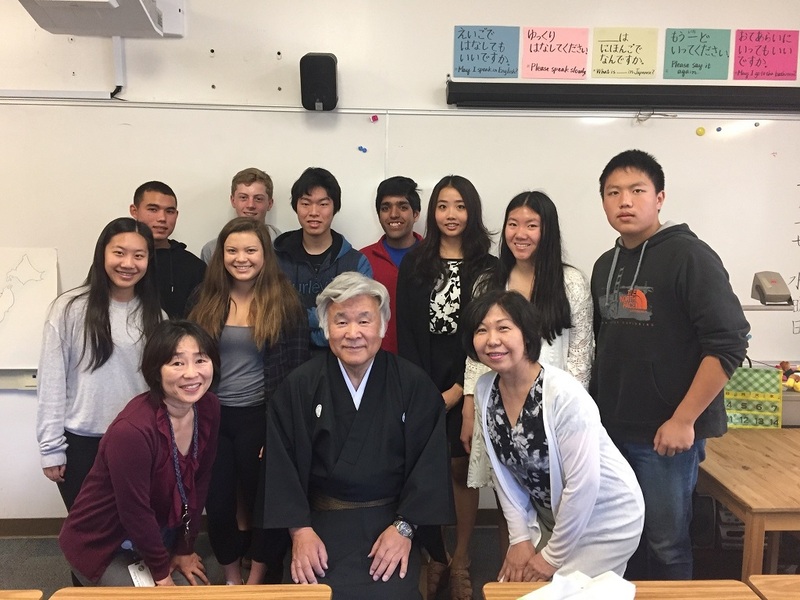 Upper school Japanese language students received a special visit from musician Baisho Matsumoto on May 17. Wearing a black kimono, Matsumoto played a series of musical pieces on the shamisen, a traditional Japanese instrument resembling a guitar, and the shakuhachi, a traditional Japanese flute. Matsumoto played traditional Japanese folk, pop and jazz music, among other styles. “It was really fun watching the shamisen player play different instruments that you do not get to see in the United States,” said Scout McNealy, grade 10. Japan Bowl Teams Score High in Washington, D.C.